Seismic, elemental, oceanic, liquid. There are numerous adjectives that can well describe this subtle 72-minute composition without giving away all of its secrets. Shifting drones and drips and drops conceal deeper activities. 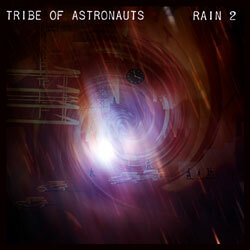 Tribe of Astronauts’ second Rain album continues in the tradition of Webbed Hand’s popular series of CD-length ambient soundscapes, intended for quiet listening.